Like many parents, David Marler’s (@Qldaah) day starts early. He feeds and changes his son before he gets going on Twitter at 5.30 am. He starts with the headlines from the daily print media and then drills down to the detail. His focus is Queensland politics. Throughout the day, David methodically populates a spreadsheet with additional references and cross-references and builds – Monday to Sunday – his weekly blog for publication on No Fibs. Margo Kingston calls David an archivist. 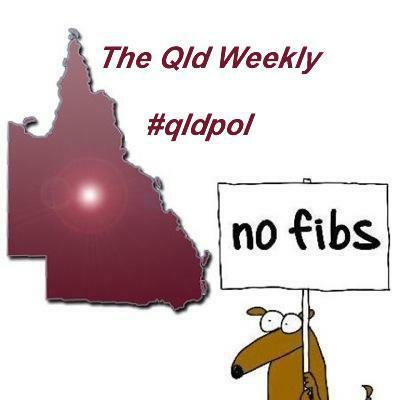 She started publishing his Queensland Weekly blogs on No Fibs about 12 months ago. “David is a real time, seven day a week Queensland politics twitter reporter, daily archivist, and weekly reflector,” Margo told me. I first became aware of David on Twitter when I was covering my local electorate for No Fibs in 2013. While David’s interests are much broader than mine, they often intersected and occasionally we would share or retweet posts, but we had not met and knew nothing about each other. It was Margo Kingston who suggested we should meet. 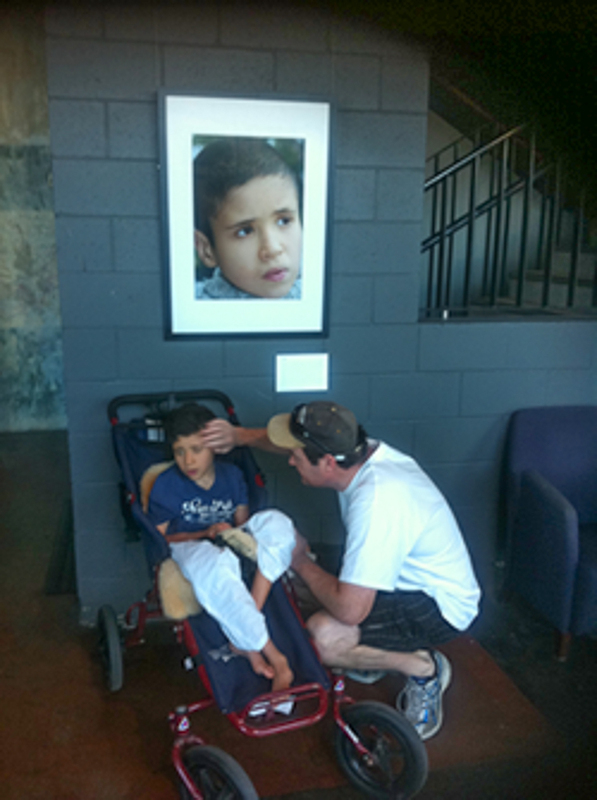 David agreed, in principle at least, but explained that as he cares for a disabled son, getting out can be difficult. I didn’t contact David again until the Griffith by-election in February 2014 but nothing came of that either. So I started to think that David may be a little aloof, or that he was just not interested in catching up. I lost interest. David’s tweeting became even more abundant during the Queensland state election, and he came to my attention once more, and again Margo suggested we meet. This time David was able to get away, and we squeezed in a meeting at a local cafe during my lunch hour. David took me by surprise. He is quietly spoken, but passionate and single-minded. I found that I liked him when I had not expected to. Moreover, his story moved me. I decided then that I should write about him. We met again over another lunch just after the election of the Palaszczuk Government in Queensland, and at the end of a prolific period of tweeting for David. David and his family were not particularly engaged with politics. His father, a NSW citrus farmer, was a National Party voter, and as is often the case in rural towns, the family and David, followed suit. The 2012 landslide victory of Campbell Newman’s government should have been cause for celebration in the Marler family. David told me that there were undeniably high expectations that Campbell Newman would do something different. David’s son Jaden is 12 years old. He was born with the 1p36 deletion syndrome, a condition that results in severe intellectual disability. He can’t walk, talk, or feed himself, and is in need of constant support. David and his partner Tanya Dennis are his full-time carers. Their lives revolve around feeding, changing, and settling Jaden, and taking him to his endless round of medical appointments. Jaden’s frequent waking and occasional seizures mean that someone has to be in the room with him while he sleeps: David and Tanya alternate this nightly task. There is limited respite. Jaden attends a Special Education unit for about five hours each weekday and a carer sleeps over one night each week. Having a sleep-in carer allows Tanya to have a night off, but David needs to stay at home because he is the only person strong enough to lift Jaden. It came as a gradual realisation to David that with the birth of Jaden his previous life and plans had changed completely. All parents, David said, expect to watch and participate as their child grows and develops. While an abled child would be walking, talking and running over the same period, Jaden’s key achievements have been few and slow in coming: he can now pick up objects, sit up, and drink through a straw. He communicates his needs through the changing pitch of his vocalisations. David admits to frustrations over the years but says he has learned to align his expectations with Jaden’s capacities, and he accepts their daily routines as normal. David’s political engagement started through his interactions with other carers and eventually, as a campaigner for the National Disability Insurance Scheme (NDIS). The NDIS, David told me, finally brought the issue of disabilities to the forefront of policy discussions. Families dealing with disability embraced the scheme when Julia Gillard announced it in 2012, but many were frustrated by the responses from State Governments. David said that in those early days all they were hoping was for was the Newman government to implement a NDIS launch site. But by April 2012 disability support groups felt compelled to hold a rally in Brisbane demanding Queensland government support for NDIS. Jaden’s story featured in a December 2012 New Ltd article that detailed promised funding to the NDIS of $1.77 billion by 2018. David and others considered the promised funding disappointing particularly as any expansion of the funding was to be contingent on future state finances. Campbell Newman finally signed up to NDIS in May 2013 , but by then his prevaricating had had a transformative effect on David Marler. Until that point, David had not been actively tweeting and had only used it as a source for news and information. He preferred Twitter to other media because it gave ready access to journalists and their reports. Channelling his anger over NIDS, David began to look more forensically at the new Newman Government. “From 2012 to 2015 my goal was to say, ‘Ok, I’m going to give you all the information that I know of; you can make your decision when you go to the ballot box,’” he told me. David has, not exactly a photographic memory, but a capacity to remember and visualise “bits of the text”. This skill enables him to crosscheck promises made by politicians against their past statements. He says he can hear or read a statement, and can then go and find the relevant reference from two or three years ago. David thinks that providing this historical context empowers his followers to make informed decisions. “Politicians rely on us forgetting…” David said, but he was determined to not let them get away with it. David doesn’t rely entirely on his memory these days. He keeps a spreadsheet on all topical issues. Each entry fits within the 140-character limit for ready transfer to Twitter when needed. Throughout each day of the state election campaign David updated his blog as events unfolded, and he published his final weekly blog each Sunday. David likens what he does to providing a fact-sheet that people can dip in and out of, or refer to when needed. He calls this product a “blogzine”, it is something, he says, for readers’ perusal. His blogs, presented in chronological order, provide links to media reports, and the reader can follow how each story has unfolded and how different media has reported it. David saw a steady growth in followers from mid-2012, but his following grew considerably during the 2015 election campaign. He currently has nearly 6000 followers. Most of Brisbane’s political journalists follow David and he interacts with them occasionally to check facts or to query themon particular details (often in direct messages). It’s hard to know, he says, if they make use of his tweets and blogs. David considers his role as giving back to a community that supports him indirectly through the disability supports he accesses. David will watch Labor now it is in power and will give it as much scrutiny as he gave the LNP over the past three years. As to the NDIS, he said that neither party has had much to say in recent years. Koren Helbig’s departure from the Courier Mail in 2013 saw a decline in the public debate on NDIS in Queensland, David told me. Such is the value of a journalist who champions a particular cause or issue. David remains hopeful that NDIS will progress under Annastacia Palaszczuk, and he plans to give his new local Labor MP six months grace before visiting him for an update on the Government’s plans. For now, the NDIS is set to roll out in Queensland in July 2016, and you can be sure David will be watching. Thanks to David for agreeing to me writing this story. Thanks to Margo Kingston, and as always to Mike Burge. David Marler and Tanya Dennis are involved with the Carers’ Resource website inflo4carers.com and in 2011 produced You are not alone: a carer’s journey. What a great story- warms the heart and stirs the mind! Thank you Phil. David is an inspiration.